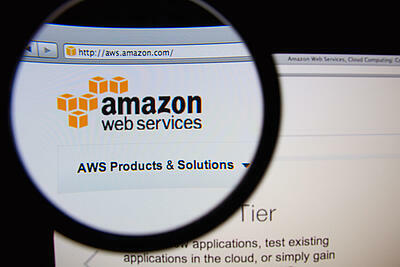 Amazon Web Services (AWS) provides companies of all shapes and sizes with enterprise level compute, storage, network, and content delivery capabilities at a fraction of the cost of a traditional, in-house hardwired infrastructure. Besides simply providing end users with cloud storage, AWS provides services such as virtual servers, database support, networking, and security and administration. Cloud computing capabilities (such as the ones from AWS) are an incredible asset to any organization, regardless of size, industry, or capabilities. On-premise servers come with a preset amount of storage and compute processing power. If additional storage space or processing ability is required, then you usually have to buy additional components or upgrade to a bigger and faster piece of hardware. Cloud computing on the other hand gets rid of the need for physical hardware. Instead, compute power and storage can be scaled up or down in a matter of seconds through the AWS web dashboard. As your business grows, and the amount of data and processing of said data increases, you can scale up in just seconds. Not only does the scalability of AWS keep your business going, but it significantly reduces the time and money needed to purchase, install, and deploy new physical hardware. Besides eliminating the need for purchasing additional hardware every time you need to scale a system upwards, AWS helps to optimize IT budgets. Capacity forecasting is a very difficult task that organizations often struggle with. For example, when launching a new application teams usually guess too much capacity meaning they paid for hardware for which only a portion is being utilized. Conversely, they undershoot the amount of capacity needed and have to restrict the performance of the application due to limited resources. The same issue impacts how IT budgets are planned for each year. It’s very difficult in December to plan ahead for the next 12 months. Oftentimes IT departments end up overspending on hardware which never actually gets used. AWS eliminates the need to correctly guess capacity needs. You can select the amount of processing and storage space needed and then scale up or down as your needs change. Plus you only pay for what you use, which helps to balance out the IT budget – making both the IT department and the finance department happy customers. You test drive a car before purchasing, right? Same thing goes for software. Many applications and SaaS applications provide 30 day free trials to get used to the apps and services. AWS also allows you to test its cloud computing services for free, for a whole 12 months! That’s right! Businesses can test AWS and its 21 products and service at no cost (within certain usage limits) for a full year. This way you can look to see what AWS products best suit your company’s needs and test them out for months at a time. Not only can you test to see how AWS will work for your company over time, but you can also calculate the projected ROI of switching to the cloud via AWS as opposed to working on in-house equipment.